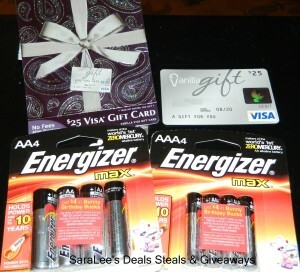 ENTER FOR YOUR CHANCE TO WIN YOUR VERY Two (2) specially marked packages of Energizer Max batteries with Bunny Bucks codes (choice between AA or AAA).LIKE THE ONE BELOW AND BE SURE TO CHECK OUT THE FULL REVIEW FROM SaraLee's Deals Steals & Giveaways.ALL OPINIONS ARE HERS! Who does not need batteries?We all do and this is a great giveaway to win some. It has been 25 years since America’s favorite unstoppable icon, the Energizer Bunny, drummed his way in to consumers’ hearts and homes. Everyday people and pop culture enthusiasts alike have been enraptured with his tenacious spirit and boundless energy. People often compare themselves to the Energizer Bunny because of his never quit attitude. 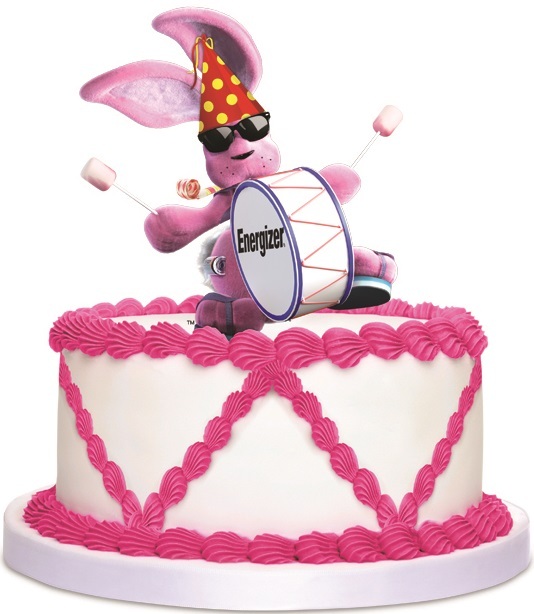 Age has not slowed the Energizer Bunny down one bit. Rather, it has motivated and expanded his personal mantra to that’s positivenergy™ - a commitment to designing products with people in mind and investing in programs that have a positive impact on the world. Now for the giveaway: One lucky person will win Two (2) specially marked packages of Energizer Max batteries with Bunny Bucks codes (choice between AA or AAA). This is open to US, 18+ and ends 12/21/2013 @ 11:59 pm est. To enter, Simply do the tasks on the Giveaway Tools widget below and you're set to have a chance to win!